The Kiko summer collection is here: its name is Modern Tribes, and it’s stunning. The products are along the same lines of its previous ones with a few innovations, but the packaging is simply incredible. Wooden compacts for blushes and bronzers with magnetic closures and a mirror in the top, it’s the most unique packaging I’ve ever seen, and the other products are packaged in a really lovely way too. I decided to try a blush, an eye pencil and an interesting lip and cheek pencil, so let’s start! I love Kiko limited edition eye pencils, and this is great as usual. Being a kajal meant to be used in the inside of the eye too it’s a bit softer, but the color payoff and lasting time are amazing. The shades are beautiful, but this gorgeous shimmery black totally stole my heart! You’re going to find you need to sharpen the pencil when switching eye if you’re a fan of a defined line, but other than that, it’s perfect. This creamy cheeks and lips pencil is a beautiful vivid dusky pink that looks velvety and soft wherever you apply it. Looks beautiful on the cheeks and it’s very blendable, but two layers are definitely needed. On the lips, is soft and comfortable and lasts well too. A handy product for the summer holidays without a doubt! A baked blush with three different shades of mauvey pink, it has a gorgeous blendable formula. It’s not one of those super glittery baked formulas but it’s still really glowy, just in a more subtle way. The shades can be used separately too and while the difference isn’t dramatic, it makes for a subtly sculpted look that looks really natural. And look at the packaging once again: too gorgeous! Kiko has launched another beautiful collection with beautiful products, and the improvement from previous years is incredible, especially in the packaging. Have you tried anything from this collection? Are you tempted by beautiful packaging too? 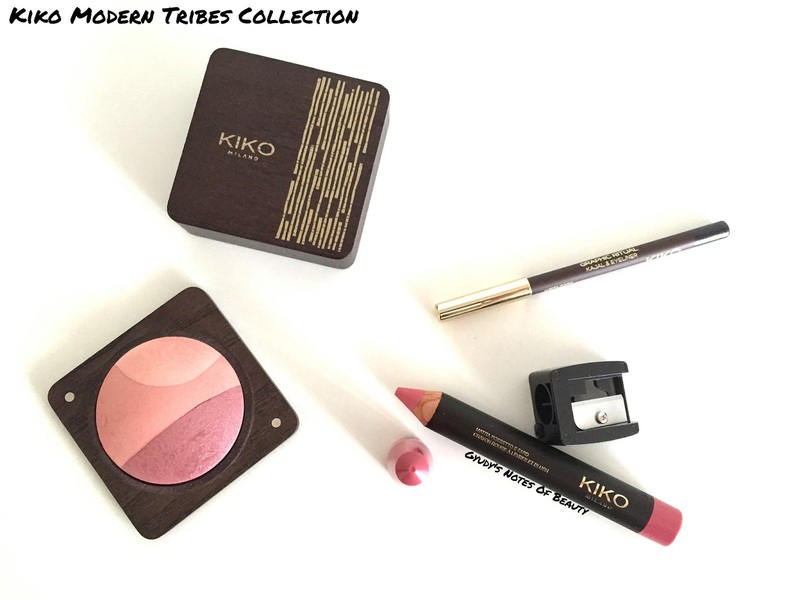 La collezione estiva Kiko è arrivata: il suo nome è Modern Tribes, ed è bellissima. I prodotti sono simili alle collezioni degli anni precedenti con qualche novità, ma il packaging è semplicemente incredibile. Confezioni in legno per blush e bronzer con chiusura magnetica e specchio nel coperchio, è il packaging più unico che io abbia mai visto, e gli altri prodotti hanno anch’essi un packaging davvero bello. Ho deciso di provare un blush, una matita occhi e un’interessante matita per labbra e guance, quindi iniziamo! Mi piacciono sempre le matite occhi Kiko in edizione limitata, e questa è fantastica come al solito. 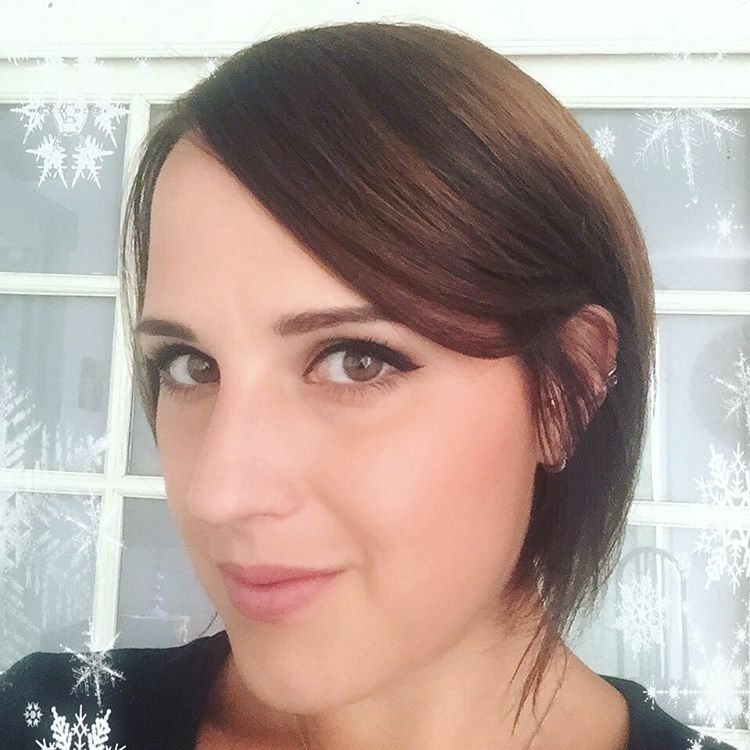 Essendo un kajal è fatta per essere usata anche all’interno dell’occhio ed è quindi più morbida, ma l’effetto è bellissimo e dura a lungo. Le tonalità sono molto belle, ma questo meraviglioso nero brillantinato mi è risultato irresistibile. Vi capiterà di dover temperare la matita tra un occhio e l’altro se amate un effetto definito, ma a parte quello è perfetta. Questa morbida matita per guance e labbra è un bel rosa antico piuttosto vivo che appare vellutato e morbido ovunque venga applicato. È bellissimo sulle guance e si sfuma molto bene, anche se due strati sono necessari. Sulle labbra è confortevole e dura anche a lungo. Un prodotto molto comodo per le vacanze estive senza dubbio! Un blush cotto con tre diverse tonalità di rosa, ha una fantastica formula molto sfruttabile. Non è uno di quei blush cotti che sono super glitterati, ma è comunque molto luminoso, semplicemente in maniera più delicata. Le tre tonalità possono essere usate anche separatamente e per quanto la differenza non sia molto accentuata, permette di ottenere un look leggermente scolpito molto naturale. E guardate il packaging un’altra volta: stupendo! Kiko ha lanciato un’altra bellissima collezione con bellissimi prodotti, e il miglioramento dagli anni passati è incredibile, soprattutto nel packaging. Avete provato qualcosa di questa collezione? Siete tentati dal bel packaging anche voi? I saw this collection recently in my emails and it indeed looks amazing. Great to hear that the quality matches its looks. I definitely need this blusher in my life. I want to try the bronzer from the line too. It comes in a similar packaging like the blush. I love this brand=)I tried a couple of things and all of them was amazing. KIko is VERY high on my to try list! So sad the brand isn't available here because everything looks so good. I'd love to try out Kiko one time! I've only heard great things about it! Di questa collezione mi ha colpito molto il packaging, la Kiko sta davvero superando sè stessa (e per contro anche un po' il budget con le edizioni limitate, fattore comunque comprensibile). Purtroppo per quanto riguarda i prodotti non c'è quasi nulla che mi ha convinta, il prodotto lips & cheeks mi ispirava ma i colori mi hanno un po' delusa o sono dupe di qualcosa che ho già. Poi con l'ultima promozione ho fatto scorta di mascara da qua al prossimo secolo, quindi passo! Kiko is such a great and affordable brand. I haven't tried any of their lip products but that lip and cheek pencil looks gorgeous! The blush color isn't great for me, but I love the design. beautiful post , the products looks so nice deffo going out to get some of my own !